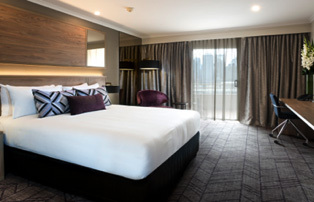 Our Accommodation and Housing specialists have secured rooms at a selection of hotels surrounding the Convention venue, with flexible terms and conditions exclusively for attendees of TERMIS-AP + ABMC 19. 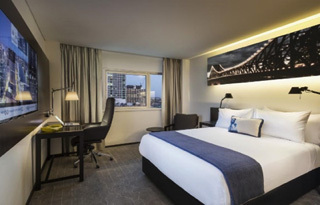 The conference falls over busy dates for the city of Brisbane, with this in mind, we encourage you to book early to secure your room. Full pre-payment can still be made by contacting the Conference Managers directly. Please click here to view our interactive map which includes both the venue and the above mentioned accommodation options. 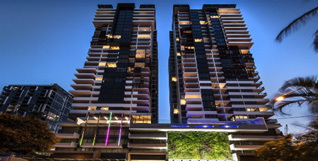 Should you wish to book alternative accommodation, the Symposium Managers recommend booking securely through Wotif.com. CLICK HERE to be re-directed to the Wotif website. Please note varied terms and conditions will apply. The negotiated rates are valid up to 15 working days prior to the Conference start date or until sold out. After this, accommodation is subject to availability and rates may be subject to increase. A minimum of one night’s deposit of the room rate is to be paid at time of booking to guarantee your reservation. Your hotel booking is unable to be confirmed until the deposit payment is received. • A cancellation charge of one night’s accommodation rate will apply for cancelled bookings after Wednesday 11 September 2019 or if you do not arrive on the date you are booked to check in. • All cancellations and changes to your reservation must be made in writing to the Conference Managers.